Will production decline bring more coal jobs? September 13, 2012 by Ken Ward Jr. The projected decline of Central Appalachian coal production is one of the biggest challenges facing the state in the near future. While there are many reasons for the decline, some are irreversible, as much of the easy to reach coal has been mined out. This has prompted a great deal of concern in the state, chiefly regarding the potential loss of coal mining jobs, as it is assumed that as coal production falls, so will employment. While employment falls along with production in the first part of the projection, employment starts growing again in the second part, as production stabilizes but productivity continues to fall. In fact, there may be 10,000 more coal jobs in Central Appalachia in 2035 than there were in 2010, despite production falling by 100 million tons, because of falling productivity. Granted, these are really rough estimates, but it does demonstrate that there are a lot of factors at play regarding the future of coal in West Virginia, and we really don’t know how it will all shake out. The mix of falling production and falling productivity may eventually increase jobs, but even in that case it takes years for the initial losses to come back. It’s also important to note that the type of coal being mined in Central Appalachia is also changing. In 2010, about 51 of the 186 million tons, or 27%, of coal mined in Central Appalachia was premium or metallurgical coal, which is used to make metallurgical coke for steel making, as opposed to steam coal, which is used for electricity generation. However, the EIA projects that premium coal’s share of total Central Appalachian production is going to increase, reaching over 50% of total Central Appalachian production in the next few years. And premium coal is sold at a much higher price than steam coal. In 2010, the minemouth price of premium coal in Central Appalachia was $100.94 per ton, compared to Central Appalachia’s average price of $77.10 per ton. And the price of premium coal mined in Central Appalachia is projected to continue to increase, reaching $184.16 per ton in 2035, while Central Appalachian steam coal prices stay flat. This means that even if production costs rise in Central Appalachia due to falling productivity with more miners mining less coal, it may be feasible to mine Central Appalachian coal at a profit, due the growing prominence of the more valuable premium metallurgical coal. The coal industry in WV, particularly southern WV, will be dramatically changing, and soon. That’s why it is so important to ask questions like “what is the effect on employment?” and prepare for that transition. While no one knows if these projections will occur as predicted, it is vital that the we take action, like our suggestion for the state to form a coal mining transition taskforce to help communities look for viable ways to ease the possible impact and search for viable economic alternatives and the creation of a Future Fund that ensures that communities and the state build assets from depleted coal resources. September 6, 2012 by Ken Ward Jr.
Over at The State Journal, the great Pam Kasey and Taylor Kuykendall have put together a package of three stories (see here, here and here) that puts some faces on the numbers that the fine folks from the West Virginia Center for Budget and Policy outlined in updating the state of West Virginia’s coal economy. “The allure of the mines, as a young person, is that a 20-year-old without a college education, but is good mechanically, or electrically or is trainable, can go get an $80,000- or $90,000-a-year job versus going to college, racking up thousands of dollars in debt and getting a $30,000-a-year job,” Mitchell said. Those starting salaries are more than twice the state average. And associated with those higher wages is a premium benefit package. A 2006 survey by Workforce West Virginia found workers in natural resources and mining were more likely to have retirement plans, medical insurance and sick leave. They blame increasing regulation. However, MSHA data show the state had more mining jobs coming into 2012, in spite of new environmental scrutiny, than at any time in the past decade. Unfortunately, the challenges for coal are multiple and not so easily reversed. In the short-term, coal demand has faced what the industry has dubbed a “perfect storm,” a combination of a mild winter that ballooned coal stockpiles and natural gas that’s hovering near a decade low price. Medium-term, Environmental Protection Agency rules about mercury and greenhouse gas emissions probably will reduce the share of electricity that is produced from coal. While mercury rules could be overturned, many people inside the industry and outside believe greenhouse gas regulations are unavoidable. A longer-term problem is that the easy-to-reach Central Appalachian coal has been mined out. September 4, 2012 by Ken Ward Jr. The good folks over at the West Virginia Center for Budget and Policy have produced a fine report called the State of Working West Virginia 2012, which includes a chapter that provides a detailed primer on the state of West Virginia’s coal economy. In that chapter, called West Virginia’s Mineral Resource Economy: The Gas Boom and the Coal Bust, Sean O’Leary and Ted Boettner break down employment and tax statistics, provide context about the continued importance of the coal industry to the state and its people, and warn about trouble ahead, given the projected declines in our state’s coal output in coming years. For more than a century, the coal industry has played a significant role in the state’s economy. It has been a large supplier of jobs and wages, an important part of the state’s tax base, and an iconic part of its culture. Today, however, the state’s coal economy is diminishing because of market competition from cheap and abundant natural gas and Western coal, and from the exhaustion of many of the state’s thicker coal seams. Future federal regulations of greenhouse gases and mercury could also play a role in reducing demand for Central Appalachian coal. … Each year, the EIA releases its Annual Energy Outlook that includes coal production projections for supply regions and coal types throughout the country. West Virginia is located in the Northern and Central Appalachian Regions. Over the next decade, EIA projects that coal production in the Central Appalachian Region will decline by 62 percent, from 196.7 million tons in 2009 to just 74.8 million tons by 2020. For the Northern Appalachian Region, EIA projects an increase of 30 percent over this same period – from 127.5 million tons in 2009 to 165.7 million tons by 2020. The combined decline in coal production for the two regions is about 26 percent. August 9, 2012 by Ken Ward Jr. Coal-mining employment in West Virginia dropped by nearly 1,300 jobs in the second quarter of the year, according to preliminary numbers that illustrate the coal industry’s continued decline in the face of cheap natural gas, declining reserves, and competition from other coal regions. New data from the U.S. Mine Safety and Health Administration put coal employment at about 23,300 during the period from April to June, a decline of about 5 percent over the previous three months. The numbers are the first government statistics to reflect recent layoffs across the state’s coalfields. But some observers said they also show coal employment remains surprisingly strong, given the political campaign that alleges new environmental rules are destroying the industry. West Virginia mining employment is up by nearly 1,800 jobs — more than 8 percent — since the Obama administration began initiatives aimed at cracking down on mountaintop removal mining. And, the most recent quarter’s figures show the seventh-highest number of jobs over the last 40 quarters, or 10 years. So everyone is clear, many of the layoffs took effect in the second quarter of 2012, so they weren’t included in the first-quarter data that we previously published in the Gazette and discussed here on Coal Tattoo (see here, here and here). And for those not familiar with the data, it’s reported to the government by coal operators and published by the U.S. Mine Safety and Health Administration, though various other agencies also keep similar figures. The workforce and local union were obviously devastated but the county was also severely damaged. The school system and social welfare programs lost revenue that was vital to their existence and operation. Entire communities were devastated. 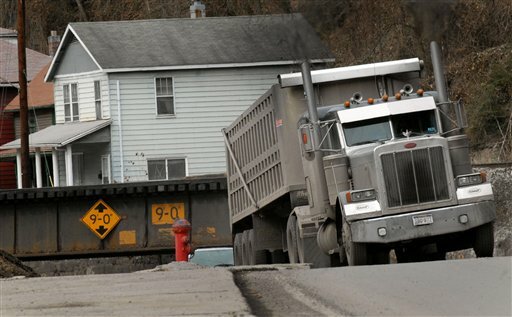 With nowhere to work and no prospect of the mine reopening any time soon, residents packed up and moved to other states to find lower paying jobs. Businesses that relied on the mine for their income — gas stations, restaurants, repair shops and equipment vendors — vanished. But it’s also important, from a larger public policy standpoint, to put what’s happened and what is happening in context, and to base discussions about it around the facts — not the scare tactics of the mining industry’s public relations machine, the nonsense of President Obama’s coal-related campaign ads, or the rhetoric of those who don’t always fully understand the role coal still plays in many communities here. Clearly, the net loss of 1,300 jobs to any industry in West Virginia is a troubling economic trend, right? Everybody can agree on that? But is it the end of the world, sky is falling, destruction of an industry that supporters fear and some opponents actually celebrate? However, natural resource extraction tends to lead to economic boom and bust cycles, as production grows and shrinks, energy prices rise and fall, and the resources themselves are depleted over time. West Virginia has experienced this pattern over the past century. Since the state is so dependent upon natural resources, this pattern of booms and busts causes volatility in revenue streams, leaving communities vulnerable, underdeveloped, and less economically secure. Does this sound at all like West Virginia? August 7, 2012 by Ken Ward Jr.
Ted Boettner over at the West Virginia Center for Budget and Policy pointed out a commentary called “From Resource Curse to Blessing,” by Joseph E. Stiglitz, a Nobel laureate in economics. For those not familiar with the term “resource curse,” there’s actually a decent tutorial about it on Wikipedia. — … Resource-rich countries often do not pursue sustainable growth strategies. — They fail to recognize that if they do not reinvest their resource wealth into productive investments above ground, they are actually becoming poorer. — Political dysfunction exacerbates the problem, as conflict over access to resource rents gives rise to corrupt and undemocratic governments. Are we headed for a coal policy train wreck? Over the weekend, there was certainly an interesting collection of news and commentary that, taken together, raises lots of questions about the future of the coal industry in our region. The research by a man often called the “godfather of global warming” says that the likelihood of such temperatures occurring from the 1950s through the 1980s was rarer than 1 in 300. 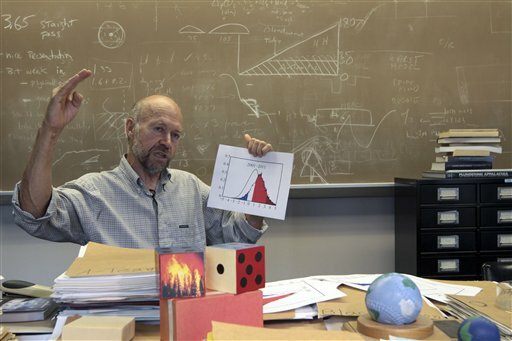 Now, the odds are closer to 1 in 10, according to the study by NASA scientist James Hansen. He says that statistically what’s happening is not random or normal, but pure and simple climate change. “This is not some scientific theory. We are now experiencing scientific fact,” Hansen told The Associated Press in an interview. July 16, 2012 by Ken Ward Jr.
Two weeks ago, I wrote about how the good people at NPR had missed the mark in a piece about the presidential election and the decline of coal here in West Virginia. … To get to the heart of what’s really killing coal, you have to travel south from Webster County about 500 miles, to Atlanta. At one of Georgia Power Co.’s newest plants in metro Atlanta, two gas turbines and one steam turbine generate about 840 megawatts, enough energy to supply about 25,000 homes, says plant manager Tony Tramonte. Georgia Power, like a growing number of power companies, is ditching coal and switching to natural gas. Tramonte explains that one reason is the overall dramatic air quality improvement. “There’s a 100 percent reduction in mercury emissions … [and] a 50 percent reduction in the rate of carbon dioxide production,” he says. He also says there’s a 99 percent reduction in sulfur dioxide and about a 90 percent reduction in nitrous oxide, with a plant that’s now five times larger than the one it replaced. The bigger reason for the switch, however, is more mundane: money. Domestic natural gas is killing coal because it’s cheap and abundant. Four years ago, electricity generated by gas was twice as expensive as coal. Today, gas is less than half the price of coal. “What that means is, literally, natural gas is going to kill more coal-fired power plants than the EPA regulations,” says Michael Zenker, a coal analyst for Barclays. June 5, 2012 by Ken Ward Jr.
Amid historically low natural gas prices and the warmest March ever recorded in much of the United States, coal’s share of total net generation dropped to 34%—the lowest level since at least January 1973 (the earliest date for which EIA has monthly statistics). Despite seasonally low loads, natural gas-fired generation grew markedly and accounted for 30% of overall net generation by March 2012 (see chart above). Total electricity demand fell this winter as warmer weather reduced home heating requirements. Coal generation decreased 29 billion kilowatthours from March 2011 to March 2012, while natural gas generation increased 27 billion kilowatthours during the same time period. In March 2012, coal’s share of total generation was 34% compared to natural gas at 30%. April 25, 2012 by Ken Ward Jr.
It’s always interesting to take a closer look at what officials from the coal and utility industries are saying about the same topic to different audiences. American Electric Power is “repositioning its assets” for a “more sustainable fuel mix,” according to a Leadership Message from President and CEO Nicholas K. Akins. Akins’ message was issued April 24 in conjunction with the utility’s annual meeting in Tulsa, Okla. It doesn’t simply mean a shift from coal to gas, although that’s a large element. “Several factors are driving us in this direction, including new environmental regulations; the economics of coal versus natural gas; the operating cost, age and efficiency of some coal units; increased competition; and grid reliability,” Akins wrote. “By 2020, we estimate natural gas will account for 27 percent of AEP’s generating capacity, compared with 24 percent today,” he said. Coal will fall to 50 percent in 2020 from 67 percent in 2011, with the rest made up of nuclear, renewables, hydro and pumped storage and energy efficiency. “This effort to create a more sustainable balance of our generation resources will be very challenging and expensive but will provide long-term fuel stability and allow us to adapt to the major upcoming market and operational changes,” he said. February 14, 2012 by Ken Ward Jr.
West Virginia’s mineral property and severance taxes are not out line with a conservative state like Wyoming and not a barrier to creating a permanent mineral trust fund. Our only barrier seems to be that we are not doing as good a job as Wyoming in ensuring that our state benefits from its rich natural resources. February 13, 2012 by Ken Ward Jr.
It’s really no wonder that so many West Virginia political leaders won’t confront the coming crisis in our state’s coalfields. That’s especially so if you just look at the media coverage these issues generally get from most of the state’s newspapers, television stations and radio outlets. There have been some noticeable improvements of late, but my buddy Hoppy Kercheval’s latest West Virginia MetroNews commentary shows how far our media have to go in doing their job of forcing powerful interests to confront what is — and perhaps isn’t — in the public interest. The closings are a tough blow for those communities; jobs are lost and tax revenue from the utilities will dry up. “This is going to take a pretty big chunk out of the operating budget of the town,” said Rivesville Mayor Jim Hershman, who worked at the power plant for 25 years. The Sierra Club is positively euphoric. The environmental organization’s “Beyond Coal” campaign is geared toward shutting down all coal-fired power plants. “The retirements represent a major improvement in the lives of local residents, who have been exposed to pollution from these plants for decades,” read a statement from the Sierra Club. I suspect the Sierra Club might have trouble getting laid off workers or the leaders of a community that will have trouble paying the bills for street lights to join them in the victory dance. But Hoppy’s commentary didn’t mention that the Sierra Club also hosted a meeting in Albright, one of the communities where FirstEnergy is closing a plant, to try to get the conversation going about how the closure might impact local residents and what alternatives might be once that closure happened. The effort was modeled after a successful collaboration in Washington state, where a coal plant closure was phased in and the company put together a $50 million fund to help ease the impacts and move toward cleaner energy. In West Virginia, Sierra Club officials tried to get FirstEnergy involved in such an effort in Preston County — but the company couldn’t be bothered to show up for a town meeting. February 10, 2012 by Ken Ward Jr.
It’s fascinating — but also terribly depressing — to watch the taxpayer-funded publicists in West Virginia government promote the state’s energy industries. Their statements often have such little connection to reality. See the blueprint for why WV continues to be a leader in the nation’s energy production, now and in the future. Their “tweet” referred readers to a link for a fancy little document they’re calling “West Virginia Energy Blueprint,” that amounts to little more than promotion of a couple of particular state industries — primarily coal, but with a fair amount about natural gas from the Marcellus Shale play. What you won’t find in there is any real discussion of important issues like the global climate crisis (not even the lack of any real movement on development and deployment of coal-friendly carbon capture and storage technology), the growing science showing environmental and public health damage from mountaintop removal coal mining, the continued toll of coal on the industry’s own workforce, and the inevitable decline of Central Appalachian coal production that’s going to create major economic problems for the region. 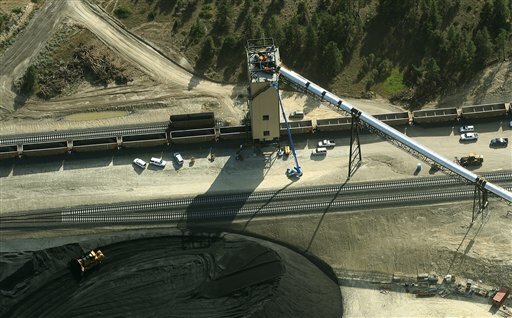 Arch delivered solid quarterly financial results despite weakening coal market conditions as the fourth quarter progressed. In particular, our Powder River Basin operations rebounded from flood-related disruptions earlier this year. Also, higher realized prices and solid cost control across our diverse operating platform helped to expand our per-ton operating margins versus a year ago. 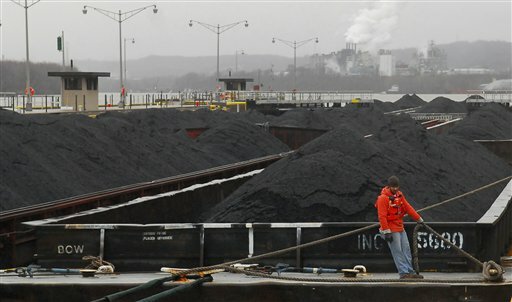 Coal markets weakened in the fourth quarter of 2011 as abnormally mild weather and muted economic growth caused U.S. power generation to decline slightly for the full year. Domestic coal consumption declined 5 percent in 2011, resulting from the decrease in power generation as well as fuel switching by power producers given decade-low prices for natural gas and abnormally high hydroelectric availability. As a result, coal stockpiles at U.S. generators rose to an estimated 180 million tons by year end, a seasonal build that is above historical norms. In 2012, Arch currently estimates that domestic coal consumption for power generation could decline by 50 million tons or more from 2011 levels, as mild weather has reduced power demand and the current oversupply in natural gas markets could induce more coal displacement. Given anticipated declines in domestic coal use as well as U.S. generator stockpile builds, Arch believes that coal production and capital spending levels industry-wide are in the process of significant rationalization, which should set the stage for the next market upswing. Internal estimates suggest that a significant portion of Central Appalachia’s estimated 125 million tons of thermal production is uneconomic at current index price levels. Missing from that? Any of the sort of stuff you hear continually from West Virginia political leaders blaming any sort of contraction in the coal industry or coal-fired utilities on President Obama and the efforts of the U.S. Environmental Protection Agency to clean up air pollution and reduce on-the-ground impacts of mountaintop removal. And so it begins: Coal layoffs sign of things to come? 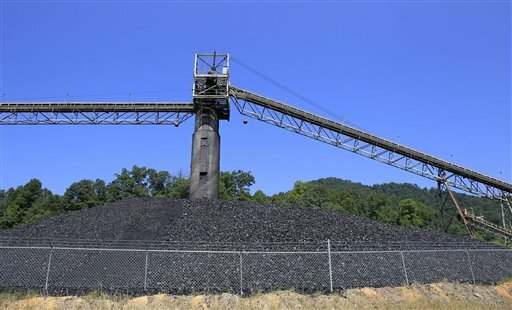 February 6, 2012 by Ken Ward Jr.
Alpha Natural Resources announced late Friday that it plans to idle several Appalachian coal mines and reduce work schedules at others, citing reduced coal demand as more electricity utilities move toward using natural gas. 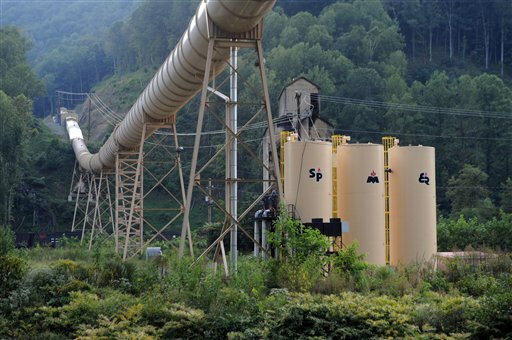 The announcement is the second such move by a major coal producer this week, coming just one day after Patriot Coal said it was closing its Big Mountain complex in Boone County. You can read for yourselves the announcement from Alpha here and the one earlier in the week from Patriot here. Alpha made a separate announcement of its moves, in anticipation of the release of its quarterly earnings data on Feb. 24. 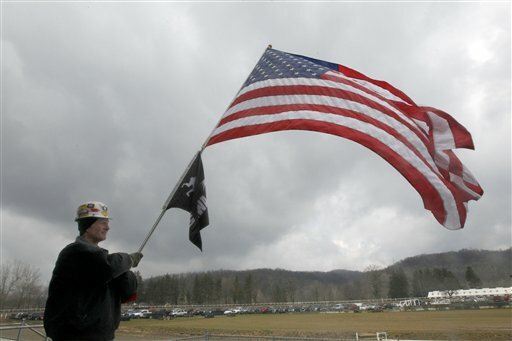 Patriot wrapped word of its closure of the Big Mountain Complex in Boone County inside its quarterly earnings statement. — #2 Gas mine in Kanawha County is being idled immediately as is the Randolph Mine in Boone County. Both are underground. — the Cave Spur and Perkins Branch underground mines are idled immediately. Both are in Harlan County. 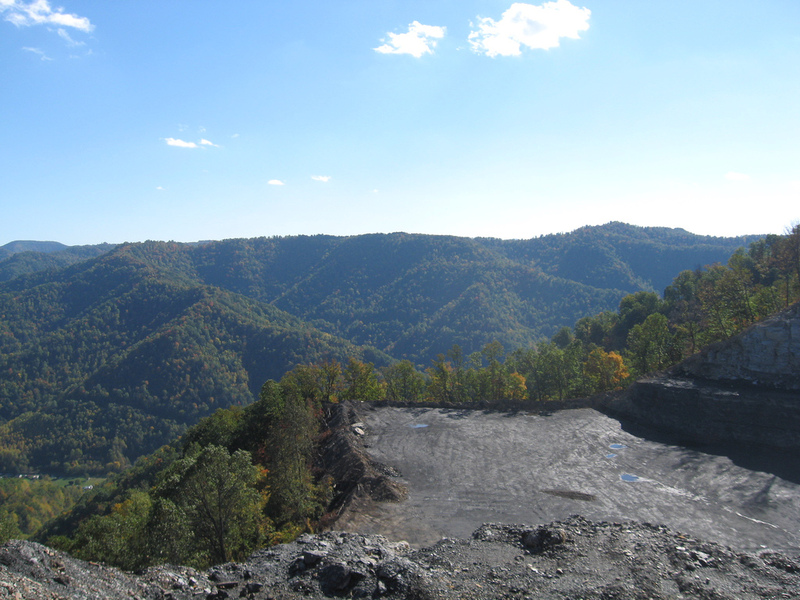 — the Coalgood surface mine in Harlan County will be phased out by the middle of this year and the Big Branch West surface mine in Knott County will close in early 2013. Will W.Va. prepare for a post-coal future? January 31, 2012 by Ken Ward Jr.
West Virginia would benefit greatly from the creation of a permanent severance tax trust fund. An Economic Diversification Fund would help the state meet many of today’s economic challenges, while ensuring that future generations benefit from the mineral wealth of their state. In the past, West Virginia did not gain broadly shared prosperity for its residents, despite the tremendous wealth of natural resources in the state. As the Marcellus Shale gas play begins to boom in West Virginia, the state should take action today to ensure that it truly benefits from the extraction of its valuable natural resources. Without a permanent fund, the economic benefit from the natural resource extraction will decline along with the natural resources themselves. The center proposes a 1 percent additional severance tax on coal and natural gas that could go into this fund, and be used a bit at a time to help pay for a variety of economic development efforts — everything from early childhood development programs and college grants to workforce training and infrastructure improvements. Authors Ted Boettner, Jill Kriesky, Rory McIlmoil and Elizabeth Paulhus helpfully provide an overview of similar programs in other states — Alaska, Montana, New Mexico, North Dakota, Utah and Wyoming — that tax the extraction of non-renewable resources to pump money into state development efforts and put funds aside for future use. If West Virginia wants future generations to benefit from the extraction of its natural resources, it must set aside a portion of the severance tax revenue from all natural resources to invest in important public structures that will build a stronger, more vibrant future for the state. To accomplish this task, West Virginia could follow the lead of six other energy states by creating a permanent severance tax trust fund (hereafter referred to as a permanent fund) that converts non-renewable natural resources into a source of sustainable wealth that serves the state today and in the future through targeted investing. Even after the state’s natural resources are depleted, West Virginia could use income from the fund to diversify the economy, make much-needed investments in infrastructure and human capital, lower future tax burdens, and deal with costs associated with past and future mineral extraction. 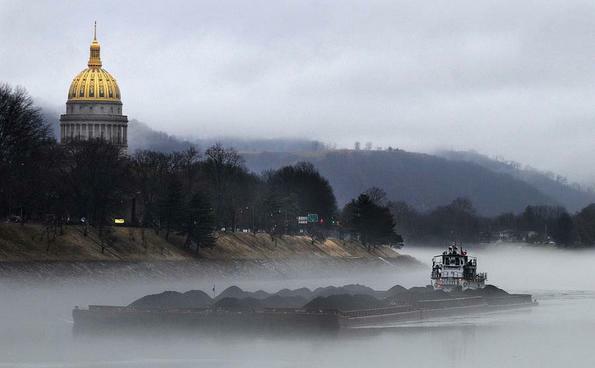 Looming coal crisis: Will W.Va. leaders do anything? 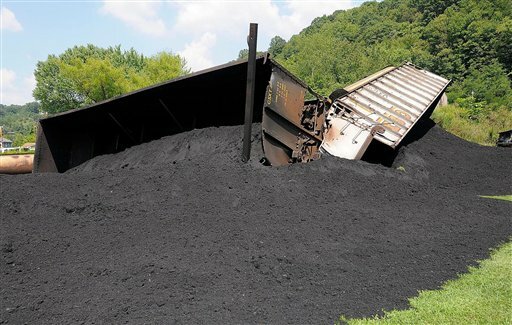 January 24, 2012 by Ken Ward Jr.
Coal production in Central Appalachia may not decline as sharply over the next five years as previously projected, but the long-term forecast looks even worse, according to a new U.S. Department of Energy report. On Monday, DOE’s Energy Information Administration increased its estimates of annual regional coal production for each of the next five years, but then projected steeper drops through the rest of the decade, with output reaching a low of 77 million tons in 2020. Overall, production from Central Appalachia — mostly Southern West Virginia and Eastern Kentucky — is expected to drop to about 86 million tons, a decline of nearly 54 percent between 2011 and 2035. This year’s outlook is grim for the U.S coal industry, which after two years of rising profits has begun closing mines, signaling a new wave of production cutbacks and, possibly, another round of industry consolidation. The country’s biggest coal producers, which begin reporting fourth-quarter results on Tuesday with St. Louis-based Peabody Energy Corp., should provide insight into how bad this year could be. Most should meet Wall Street’s earnings expectations for the last quarter of 2011 on export gains over a year ago, while tempering investor expectations for 2012, say analysts. The two biggest threats facing U.S. coal companies are the low price of domestic natural gas, which is making thermal coal a less-attractive fuel for their utility-customers, and the shaky economic picture in Europe, which is damping exports of metallurgical coal. Of course, there are plenty of reasons to be concerned about West Virginia’s coal industry — Things like the pervasive and irreversible impacts of mountaintop removal mining on our environment and the growing body of science that links living near mountaintop removal to serious health impacts like birth defects and cancer. There’s also the incredible toll coal-mining takes on workers, through mine disasters, one-by-one deaths, and the continuing public health disaster that is black-lung disease. And there’s the untold damage to public health from power plant emissions, and coal’s huge contributions to global warming. And if those things aren’t enough — and for most politicians in the region, they’re not — to make folks sit down and talk about the future of coal, you would think that the serious potential for seeing Central Appalachian coal production cut by more than half before the end of this decade might get some attention. Over the next 25 years, the projected coal share of overall electricity generation falls to 39 percent, well below the 49-percent share seen as recently as 2007, because of slow growth in electricity demand, continued competition from natural gas and renewable plants, and the need to comply with new environmental regulations. The average minemouth price of coal increases by 1.4 percent per year in the AEO2012 Reference case, from $1.76 per million Btu in 2010 to $2.51 per million Btu in 2035 (2010 dollars). The upward trend of coal prices primarily reflects an expectation that cost savings from technological improvements in coal mining will be outweighed by increases in production costs associated with moving into reserves that are more costly to mine. The coal price outlook in the AEO2012 Reference case represents a change from the AEO2011 Reference case, where coal prices were essentially flat. Although coal remains the leading fuel for U.S. electricity generation, its share of total generation is lower in the AEO2012 Reference case than was projected in the AEO2011 Reference case. As a consequence, while still growing in most projection years after 2015, total coal production is lower in the AEO2012 Reference case than in the AEO2011 Reference case, with the gap between the two outlooks increasing substantially over the period from 2020 to 2035. In the AEO2012 Reference case, domestic coal production increases at an average rate of 0.3 percent per year, from 22.1 quadrillion Btu (1,084 million short tons) in 2010 to 23.5 quadrillion Btu (1,188 million short tons) in 2035. Mines in the West account for nearly all the projected increase in overall production, although even Western coal production is expected to decline somewhat between 2010 and 2015 as low natural gas prices and the retirement of a sizable amount of coal-fired generating capacity leads to a decline in overall coal consumption in the electricity sector. On a Btu basis, the share of domestic coal production originating from mines in the West increases from 47 percent in 2010 to 56 percent in 2035, and the Appalachian share declines from 39 percent to 29 percent during the same period, with most of the decline occurring by 2020. In the Interior region, coal production remains relatively stable over the projection period, with production in 2035 higher than in 2010. January 18, 2012 by Ken Ward Jr.
Over the years, I’ve come to the conclusion that when most politicians start talking about balancing jobs and the environment, it signals they’re getting ready to get pretty weak on environmental protections … but maybe that’s an unfair conclusion to draw in all circumstances. There’s no question that, when it comes to coal mining controversies, the industry’s public relations machine has done a great job of trying to make things about “jobs versus mayflies.” The media, especially in the coalfields of West Virginia, has done little to help — mostly ignoring the growing scientific evidence that links living new mountaintop removal to increase rates of serious health problems, like cancer and birth defects. The notion that polluting water, air and land impacts not just lizards and fish, but people, isn’t one that is given a lot of attention in the context of mountaintop removal. Following last Friday’s major speech about global warming and “the future of coal” by AFL-CIO President Richard Trumka, the discussion of all of this is continuing in the comment section of a post I wrote called, “What will we do about coal’s crisis in the making?” And we were reminded just yesterday of the very real connection between coal’s environmental pollution and public health, with the release of two new expert reports about the slurry contamination in the community of Prenter. This gets to the complexities of the blue-green alliance, or the coalition between labor and environmental groups to craft policies that builds a unionized and sustainable future. There are clear areas where labor and environmentalists should have a common agenda–green technology, worker health, pollution. But there are equally clear lines that demarcate where the two groups can and can’t work together, particularly in extractive industry unions. My book-in-progress explores how logging unions in the Pacific Northwest organized around environmental issues, broadly defined. In the 1970s, a strong blue-green coalition (though I don’t believe the term had been invented yet) existed in the Northwest, with logging unions allying with environmentalists to keep workers safe and force timber companies to comply with the era’s new environmental regulations. But this was fraying at the same time it was peaking. The International Woodworkers of America had long criticized the timber industry’s unsustainable cutting, but when the rubber met the road and environmentalists in the 1970s and 80s were demanding increased wilderness areas and the protection of the last remaining old-growth stands, how could they vote their own members out of work? Especially when their union was coming under attack from so many other sides, with mills shutting down left and right? The lesson from both the Northwest forest and Trumka’s coal miners is cultural. In the end, cultural divides shouldn’t stop anyone from promoting environmental positions with as much vigor as possible. But there is something very real about the resentment engendered when so-called outsiders (a term that can mean so many things) demand the end of an extractive industry without much thought into where workers are going to go. Even though those jobs are probably going away anyhow, it gives business a convenient target to direct workers’ ire. Of course, I don’t have any great answers about how to avoid this problem except to build understanding between the two constituencies, hoping that alliances over keeping workers’ bodies safe and air and water clean lead to stronger connections that allow environmentalists and labor to build toward understanding on the more intractable issues. What will we do about coal’s ‘crisis in the making’? January 16, 2012 by Ken Ward Jr. In May, CNN Money reported that 3,800 of the county’s 8,600 employed people worked in the mining industry. And a report by economists at WVU and Marshall titled “The West Virginia Coal Economy 2008” reported that 60 percent of the county’s roughly $35 million in property tax revenue came from coal. While those figures certainly speak to the importance of coal to Boone today, they also represent the potential for devastation when the coal companies leave. Imagine when half of those jobs and tax revenues disappear as Downstream Strategies predict they will. Boone County will be left with slurry ponds, “reclaimed” mountains and dirty water. As a society, we do not plan well for economic transitions; nor do we tend to plan for the long term. Our elected officials have a vested interest in helping businesses and industries that are here now, not imagining future businesses and industries. Coal companies focus only on this year’s profits. Unions protect current members’ jobs. Planning the future of Boone County is too important to leave up to the president of the West Virginia Coal Association, the CEO of Alpha Natural Resources, the president of the United Mine Workers, or even government officials like Sen. Manchin and Gov. Tomblin. This time, the people need to plan out their own future. What do we want the future economy to look like? I propose that we try to create a society that will last for another 100 years, 200 years, or maybe even 1,000 years. But under the current plan, Boone County will face utter devastation –economic and environmental — in just 25 years. Beginning in the 1960s, local potteries began closing up shop until only Homer Laughlin remained. When Weirton Steel showcased its “mill of the future” in 1967, that moment proved to be the high point for the company and its workers. Thereafter, foreign competition, mismanagement, and global economic forces beyond any individual company’s control undercut Weirton Steel’s position in the market. By the 1980s, working families in Hancock County were faced with many tough decisions and sad realities as the winds of “creative destruction,” in the words of economists, picked up thousands of industrial jobs and carried them to the distant frontiers of industrial capitalism. The county’s population declined from about 40,000 in 1980 to about 30,000 in 2000. Many of those who remain are retirees who have watched helplessly as pensions and health insurance evaporated amidst bankruptcy hearings and corporate takeovers. The deindustrialization of Hancock County underscores the ongoing nature of the industrial restructuring that brought new industries and industrial jobs to the county a century before. Workers struggled for decades to achieve a modest, dependable income and a decent life. During those decades, they continually adapted to new technologies, shifting markets, and changes within the working class. At the height of their influence locally, the rural-industrial workers of Hancock County also joined with like-minded Americans around the country to roll back the New Deal order and transform postwar America. The wrenching economic changes of the last quarter of the twentieth century, however, have left many working families to wonder what it was all about. Now, some people’s response is to demand that we end all coal production now—they say “End Coal.” Never mind that such a thing is simply not going to happen—there is no substitute now for metallurgical coal and if we stopped burning coal this afternoon and cut the power in the U.S. grid by 50 percent, as Mayor Bloomberg advocates, he’d be reading handwritten memos by candlelight this evening. Given that reality, it’s important to think about how that slogan is heard in places like my hometown of Nemacolin, Pennsylvania. You can read the speech for yourself here and you can also see the initial reactions from a couple of the most outspoken anti-mountaintop removal activists in the comments section. It’s certainly true that Rich Trumka didn’t mention mountaintop removal — and there’s no doubt we haven’t heard much from the Rich’s old friends at the United Mine Workers about the growing body of science that links living near mountaintop removal to serious health problems, to increases risks of cancer and birth defects among coalfield children. I’ve asked the question on Coal Tattoo before, “Exactly what sort of environmental protection does the UMWA support?” At the same time, I’m not sure that the way to build strong coalitions is to do what citizen groups did a few years back when the UMWA’s media spokesman, Phil Smith, took part in a roundtable aimed at trying to find common ground on heated and complicated coal industry issues. These are real problems. They affect real people. And West Virginia’s elected officials are rightly concerned about jobs and the economic impact on local communities. I share those concerns. Remember that Sen. Byrd also told us that “the time has come to have an open and honest dialogue about coal’s future in West Virginia.” Of course, that is exactly the oppose of what we heard last week from Gov. Earl Ray Tomblin, in a State of the State address that mentioned coal only to cheer-lead, as opposed to actually leading. And it’s exactly the opposite of what other political leaders are doing when they dodge questions about the mountaintop removal health studies. … Even if we cannot agree on mountaintop removal, change is still coming. A 2010 report by Downstream Strategies predicts that coal mining in Central Appalachia will decline by more than half over the next 25 years (from 234 million tons in 2008, down to 99 million tons in 2035) for reasons ranging from competition from natural gas to depletion of the most productive reserves. There’s a crisis in the making … what are we going to do about it? December 13, 2011 by Ken Ward Jr.
West Virginia’s natural resources are one of its greatest assets and an important source of wealth. But the extraction of those resources can come at a heavy price, creating stress on the environment, infrastructure, and local communities. Like many other natural resource-rich states, West Virginia levies a severance tax on the extraction of its natural resources. The revenue from the severance tax allows the state to capture natural resource wealth and use it for important purposes like education, infrastructure, health care, and countless other priorities for the state, as well as providing a way for the state to bear the costs imposed by natural resource extraction. While the severance tax is levied on natural resource production in the state, evidence from other states suggest that the tax is exported and paid by out-of-state consumers. This allows West Virginians to enjoy the benefits provided by the revenue without bearing the actual burden of the tax. In addition, research shows that the severance tax is not a large burden on industry, having little effect on production and industry location. Historically, coal has been the dominant source of severance tax revenue in West Virginia. However, West Virginia’s coal production is projected to sharply decline in the coming years, decreasing the amount of revenue brought in by the coal severance tax. Fortunately, the decline of coal in West Virginia corresponds with a boom in natural gas production. In the coming years, natural gas will grow from a relatively minor source of severance tax revenue to the state’s largest source. In order for West Virginia to benefit more fully from its natural resources, the state should consider policy changes surrounding its severance tax. — Consider scaling back severance tax credits, limits, and deductions. West Virginia’s effective severance tax rate is far below the statutory rate of five percent due to a number of credits, limits, and deductions available against the severance tax. In particular, the reduced rate for thin-seam coal production is rapidly growing in size and value. The effectiveness of these policies should be examined to determine if the goals of the policies are being meant and if the cost is acceptable. This is more important as tax policies like the reduced rate for thin-seam coal grow more expensive even as coal severance tax revenue declines and coal prices escalate. — Encourage local governments to make a better effort to diversify their economies. Currently, most severance tax revenue distributed to local governments is used to fill budgets and provide basic services. The new allocation for coal-producing counties is a step in the right direction, with its funds directed towards economic development. Local governments should do more than use their share to pay for basic local government purposes. Local governments should use their revenue share to make investments that lead to greater economic diversification and growth, and should break their dependence on a volatile revenue source for the provision of basic services. — Create a permanent trust fund. The coming boom in natural gas production provides West Virginia with an opportunity to convert its depleting natural resources into a permanent source of wealth. West Virginia should join states like Alaska, Montana, New Mexico, North Dakota, Utah, and Wyoming and establish a permanent trust fund based on a portion of severance tax revenue. In fact, the state could actually raise the effective rate of the severance tax in order to finance the trust fund with little risk of affecting the state’s natural resource industries. November 8, 2011 by Ken Ward Jr.
We’ve had a lot of coverage on this blog about the projections for major declines in Central Appalachian coal production in coming years. It’s been one of our major topics (see here, here, here, here and here). So, I wanted to be sure that Coal Tattoo readers didn’t miss the op-ed that appeared in yesterday’s Lexington Herald-Leader. Headlined, “Future burns bright for E. Ky. coal,” the piece was written by Jerry Weisenfluh, who is associate director of Kentucky Geological Survey at the University of Kentucky. The central argument of the Downstream paper revolves around the relationship between mine productivity and coal prices. Mine productivity (tons per worker hour) increased steadily throughout the 20th century but has been declining since 2000. This reversal coincided with a dramatic increase in coal prices. The report implies that this association is due to the additional employees needed to mine the thinner seams now available in Central Appalachia and uses this as evidence of depletion. There is a serious problem with this argument. The decline in mine productivity is a national trend. This suggests that there are other, more important factors affecting mine productivity. The more likely reason is the additional employees needed for complying with new safety and environmental regulations, because this would impact mines irrespective of their location. There is no doubt that significant reserve depletion has resulted in mining of thinner seams leading to higher mining and processing costs. But it’s inaccurate to suggest this implies an accelerated collapse in production. There are technological advancements and market conditions that could change the current trend in production.